Last weekend we all enjoyed a little Hotel CA revision to highlight the move over to the College Ave facility. OK, maybe not everyone, but you have to admit the two guys with lighters downstage were a nice addition (not my idea, but was a good one). For those of you who weren't there, I'm not kidding about the lighters. Then we turned around and wow'd the crowd again by starting "Rock of Ages" in the wrong key. OK, I shouldn't say 'we' because it was really ME. In the third worship gathering, I began the intro vamp in Ab. The rest of the band came in correctly in A. It sounded horrendous. I could read the faces of the worshippers - "a train wreck is coming." So what do you do? Ask yourself a split-second question - how big of a mistake is this? If it's small and only the musicians, techs, or a handful of people recognized it as a mistake - then simply keep going. However, if it's a big mistake, the best thing to do is to admit it, give permission for people to enjoy the mistake by make light of it, and draw the attention back to God by admitting that we are finite beings worshipping a perfect God. Then try what you were doing again. As one of the musicians prayed at our rehearsal - "we don't want to share the stage with You (God)." When we make a mistake, be human enough to admit it. It means that God owns the stage - and mistakes are a good reminder of that. Point people to God with the mistake by being authentic with it - don't be fake and cover it up if it's a big one (everyone already knows). God, thank you for the good reminder that You want me to be the REAL THING on and off stage. Help me have the desire to give You my best (You deserve it) but humble to admit that my best will ALWAYS fall short of what You deserve...and sometimes what others expect. Help me be OK with that. When our daughter Kayla was born, she was an angel for the first 2 weeks. After the 2nd week, she went ballistic. She wailed for hours on end. We couldn't figure it out. She was more than collicy - she was downright in pain. We finally figured out that she wasn't ready for the real deal. 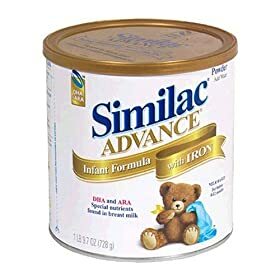 She wasn't ready for formula. Not even soy formula. Nope, Kayla wanted the best - $9 a day special formula that was already broken down for her. In fact, she still takes it today. What was the problem? We weren't meeting her where she was. We tried to give her what she needed, but at a level that wasn't correct for her. We had to figure out the hard way that she needed something different than what we thought she needed. When it comes to worship, our daughter Kayla taught me a great lesson. Before I expect worshippers to worship, I had to meet them where they were at. Most people walk in to a worship setting not thinking about God, were busting their tails to get there, or talking with their friends they haven't seen since last week. The first words utters, the first song sung, the first images worshippers experience will do one of three things - point eyes to God, turn their eyes away from God, or have no effect. It must meet the worshipper where they are -- then point them to God. Grab the attention, then give attention to Whom it's due. If I don't first meet them where they are at, I'll be in for choppy waters ahead - just like our daughter Kayla. It will cost something to meet worshippers where they are at. It would be easier to serve Kayla the same food the rest of the family eats. It would save us time and money altogether. But it costs us something to meet Kayla where she's at. Remember, it will cost us something to meet worshippers where they are at. It was cost us thinking power, time and people resource, and, yes, it will require us to spend a little extra cash too. Be mindful when you craft the first element in worship. It will set the tone for the rest of the morning. Remember to figure out where most of your worshippers are at before they worship. God, give me wisdom in knowing where the worshippers are at before we begin. Help me craft a time that points them to You - not me or anything else. You, alone, are the One that deserve the attention. Help me to learn how to point our eyes to You. Everyone is attractive - in some respect. I'm not talking about physical beauty. I'm talking about the fact that humans attract the attention of other humans. More importantly, humans attract the attention of God. God notices. So how can we be attractive to God? Here are some things to keep in mind. God, help me attract others to You with my physical appearance, my speech, what I spend time doing, and most of all with taking purposeful steps to make personal sacrifice. I want to obey You instead of doing what attracts people to me. Help me not worry about what people think of ME, but help me to begin worrying what people think about YOU. Email from a phone message on the fly if you really have to. I just found a fun (and free) online site that will allow you to turn a phone message into text that you can send to anyone. Way cool. You can find it at www.jott.com. 1. Imported my email address book. 2. Called their 800 number. Actually, I put it on my speed dial on my mobile. 3. They ask who you want to "jott." You tell it, and it figures it out. 4. Then leave the message and it will email them what you just said. Great for on the fly email. No more putting into my task list "remember to email so-and-so about such-and-such." Simply call and do it from the road. Sweet after 9pm when your mobile minutes are unlimited. I was born and raised in Waukesha, WI. I listened to WTMJ radio out of Milwaukee, WI. I never knew I had so much in common with Les Paul. See article here. Another thanks to John Bowes for sharing this article with me. I'm a big GTD fan. GTD stands for 'get things done.' I use a free application on my MacBook called iGTD (see link here). There's a ton of online charts based on the concept. It's not a new concept - just a popular one right now. But I've realized a very important task missing from my task list, maybe your too? These tasks are then assigned different contexts of where they are accomplished. Office. Home. Computer. Call. Errands. Read/Review. Agendas. Waiting For. The hope is that productivity increases because downtime is diminished. Obviously, the entire task list is prioritized and time sensitive. But what I find missing from my GTD list is the spiritual side of my life. Prayer. Worship. Listening to God. Serving someone without the public knowing it. Question is...what would Jesus' GTD list look like? In turn, what should mine look like. Maybe I should have a large project entitled "Live Like Jesus" and have tasks that are designated for that area. God, help me to know the important things on my GTD task list. Give me Your wisdom in discerning what objectives, goals, projects, and tasks I should engage in. Help me to ignore the ones that Satan would love for me to be distracted with. I was not kidding when I meant that Topeka, KS is crazy about their fireworks. Here's a video clip from our neighborhood on July 4. One thing I've noticed about Topeka, is that they love their fireworks. I was amazed to discover a mass of tents pop up over night. In fact, I've watched our son, Joshua, go through three stages with fireworks. 1. Scared. He didn't want to hear the bangs. He didn't want to watch them. He wanted to run close to mom and dad so they would protect him. 2. Trusting. He began to trust mom & dad that the fireworks wouldn't hurt him. We slowly assured him that they are fun to watch. The colors are nice. The bangs are exciting. 3. Adventurous. He wanted to look out the window. He approached the window. He wanted to go outside to get a better view. He actually overcame his fear. That's how it is with our spiritual walk. When God brings something new to our life [a change] - I tend to be scared of the change at first. I think it may hurt me. Then I slowly trust God with the changes He's asking because He assures me that He will protect me. Finally, I embark on where God actually wants me to go because He allowed me to overcome my fear due to trusting in Him. What am I afriad of God asking me to do? Would I do it if He really asked? Do I really believe and live what God says? God help me to take a step when you ask me to. Even when I'm scared. Even when I don't trust. Thank You for your faithfulness in showing me what to do and giving me courage that You stand with me in everything You ask me to do. Don't ever, under any circumstance, spray someone's back with "Dust Off" while tilting the can excessively or shaking the can...especially your wife's back. I publically apologize to my wife for any permanent damage or frostbite.